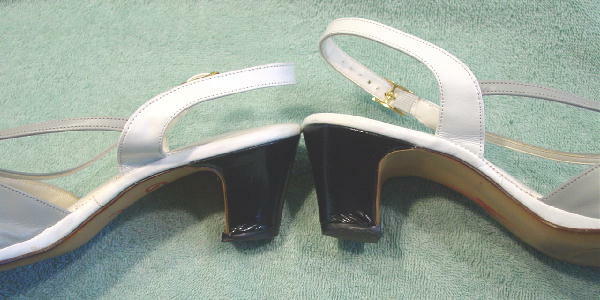 These leather uppers vintage Penaljo open toe slingbacks were made in the USA. 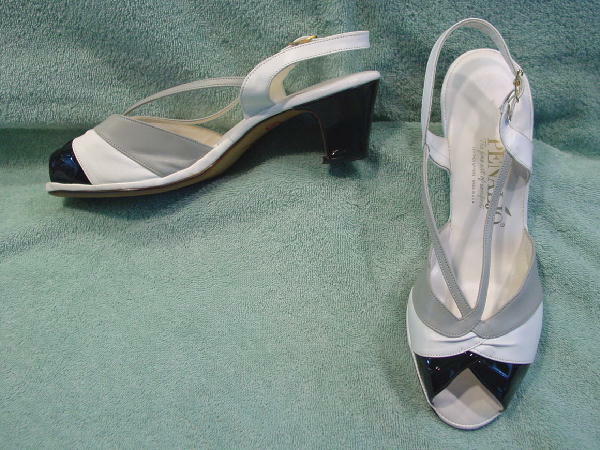 They are in black patent and white and gray. There are white somewhat padded insoles. 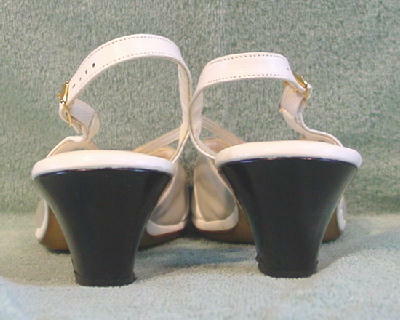 The inner sides of the black patent leather heel have slight wrinkles as the leather meets the rubber heel. It probably happened when they were reheeled years ago. The light spots on the shoes in the pictures are just reflections. They're from a former New York model who hasn't worn them in years. She used to wear them in the spring and summer, but since having 3 kids, she now wears a 10 1/2.